SSM has been meeting the Turkish Armed Forces’ (TAF) wheeled armored vehicles requirement from local sources since late 1980s. 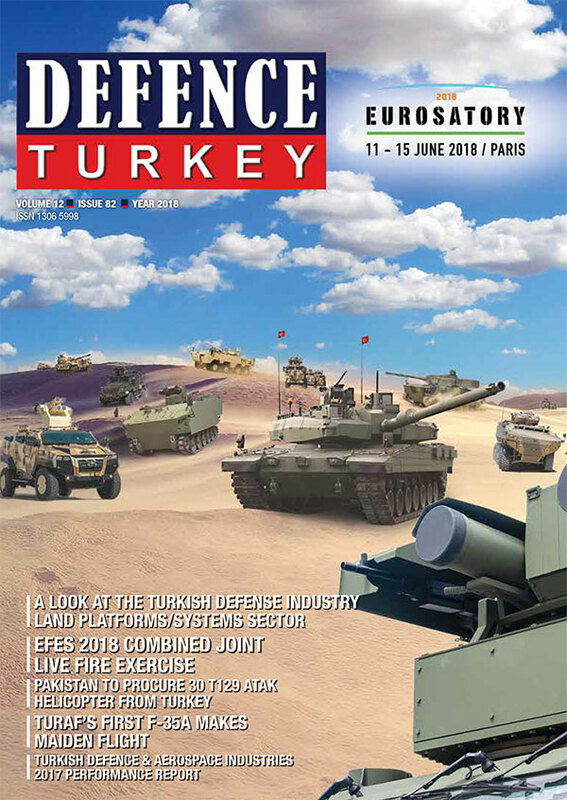 As one of the strongest sectors of the Turkish Defense and Aerospace Industry, the Land Platforms Sector is now able to meet almost all of the requirements for the Turkish Land Forces (TLF), Gendarmerie General Command (GGC) and Security General Directorate (SGD/Turkish National Police) for tracked and wheeled armored vehicles with indigenous solutions, with the next target in this field being the design, development and manufacture of a 3+ Generation Main Battle Tank. Turkey has traditionally looked to its domestic suppliers to meet the TAF’s Land Platforms requirements, which has enabled the Sector to develop a comprehensive range of products, ranging from tactical wheeled vehicles (4x4, 6x6, 8x8 and 6x4), tactical wheeled armored vehicles (4x4, 6x6 and 8x8), armored reconnaissance vehicles (tracked and wheeled), armored internal security vehicles, mine protected vehicles, mobile floating assault bridges, riot control vehicles, amphibious armored combat earthmovers, armored combat vehicles and the ALTAY MBT, as well as modernization and upgrade solutions for APCs, ACVs and MBTs. Locally produced armored vehicles especially Otokar’s 4x4 COBRA-I and COBRA-II, Nurol Makina ve Sanayi (NMS)’s EJDER YALÇIN-I/II/III and BMC’s KİRPİ MRAPs have been playing an important role in Turkey’s war against the PKK terrorist organization and thanks to their high protection capability they saved the lives of many soldiers during recent operations by withstanding several roadside and IED bomb attacks. The backbone of the Turkish Land Platforms/Systems sector is formed by private companies such as Otokar, FNSS, BMC, Nurol Makina ve Sanayi (NMS) and Katmerciler. Military Factories operated by the Turkish Land Forces (TLF), such as the 1st Main Maintenance Center in Adapazarı and the 2nd Main Maintenance Center Command in Kayseri have played a key role in Main Battle Tank Modernization projects such as the Leopard 1T and M60T programs and are now providing maintenance services to tracked and wheeled vehicles of the TLF. It should be noted that as part of the restructuring efforts that were launched following the coup attempt on July 15, 2016, with an amendment made on the 1st Article of Law on Ministry of National Defense (MoND) military factories and shipyards have been removed from the structure of related Military Departments and General Staff organization and affiliated under the MoND. In this context the Military Factories of the Turkish Land Forces such as the 1st Main Maintenance Center in Adapazarı and the 2nd Main Maintenance Center Command in Kayseri have been affiliated under the newly established (on July 25, 2016) MoND General Directorate of Military Factories (AFGM) on November 9, 2016 and with State of Emergency Decree Law No. 696 issued on December 24, 2017 Military Factory and the Shipyard Management Incorporated Company (ASFAT AŞ) was established. According to the Turkish Defense and Aerospace Industry 2017 Performance Report prepared by the Defense Industrial Manufacturers Association (SaSaD) through the evaluation of figures obtained from member companies and issued in May 2018, realizing around 36% (US$2.362 Billion) of the turnover (US$6.693 Billion), around 29% (US$522 Million) of the exports (US$1.824 Billion), around 29% (around US$540 Million) of the imports (US$1.544 Billion), and around 31% (US$2.478 Billion) of the order total (US$8.055 Billion) in 2017 the Turkish Land Platforms/Systems sector is likely the strongest sector of the Turkish Defense & Aerospace Industry. According to the Turkish Defense and Aerospace Industry 2016 Performance Report in 2016 the Turkish Land Platforms/Systems Sector realized 29% (US$1.702 Billion) of the turnover (US$5.968 Billion), around 30% (US$488 Million) of the exports (US$1.678 Billion), and around 50% (US$5.920 Billion) of the order total (US$11.913 Billion). All estimates show that the Turkish Land Platforms/Systems Sector will grow further in 2018. Products are made according to NATO standards and more cost effective than most in the West and the sector is ready to share its technology with its customers. The Turkish Land Platforms/Systems Sector has become a valid alternative to the West and thus during last decade land platforms have become important export items within Turkish defense exports. Under the ALTAY Turkish National Main Battle Tank Program, Main Contractor Otokar has developed a 3rd Generation+ MBT in cooperation with its local partners (Aselsan, MKEK, Roketsan and STM, under the project Otokar cooperated with 109 subcontractors of which 20 were foreign companies) and South Korean Hyundai/Rotem, which was selected as the Technical Support and Assistance Provider (TSAP), to meet Turkish Army requirements. Awarded on July 29, 2008 and became effective on January 15, 2009, the first phase of the program is valued at US$494 Million (the South Korean portion accounting for roughly US$200 Million) and consists of three stages: Conceptual Design, Detailed Design and Prototyping and Qualification, and covers the design, development, manufacture and testing of four prototype vehicles; Mobility Test Rig (MTR), Fire Power Test Rig (FTR), Prototype Vehicle 1 (PV-1), Prototype Vehicle 2 (PV-2) as well as 1 Full Scale Dummy (used in live HEAT, KE, ATGM firing tests and mine tests) in about 7 years with the use of existing local capabilities to the maximum extent. Under the Program, Stage III Prototype Development and Qualification activities started in May 2013. PV-1 and PV-2 prototypes have been manufactured in this Stage and System Qualification tests of PV-1 prototype started in April 2015 and PV-2’s in February 2016. PV-1, has been utilized for mobility and survivability qualification tests, and PV-2 has been utilized for firepower qualification tests. System Qualification Tests completed successfully on November 7, 2016 and Acceptance Tests, which have been carried out by the Turkish Land Forces Command (TLFC) and SSM, were completed at the end of February 2017. While Acceptance Tests were on-going Otokar submitted its proposal for the Series Production Phase on January 18, 2016. The SSM issued the RFP for Series Production Phase to Otokar in 2015. Upon the SSM’s request, Otokar submitted its Best and Final Offer (BAFO) for the serial production of 250 ALTAY MBTs in five years and their Integrated Logistics Support activities on August 29, 2016. Following the evaluation of the proposal submitted by Otokar, SSM on June 9, 2017 informed the company that its proposal was not approved, and the requirement would be met via a new tender process. The SSM issued a Request for Proposal (RFP) for the Series Production Phase on July 1, 2017. Bidders for the Series Production Phase were; Otokar, FNSS and BMC. In October 2016 BMC (51% share), Rheinmetall AG (39% share) and the Malaysian company Etika Strategi (10% share) formed an Ankara, Turkey-based Joint Venture Company ‘Rheinmetall BMC Savunma Sanayi AŞ’ (RBSS) with a view to cooperation in armored vehicles solutions. Bidders submitted their Series Production Phase proposals to the SSM on November 16, 2017. Upon the SSM’s request they submitted their first BAFOs on February 8, 2018 and the second BAFOs on March 5, 2018. Meanwhile Defense Industry Executive Committee [DIEC] meetings were held on January 31, 2018 and March 29, 2018. During March 29th meeting DIEC, the highest decision-making body on defense procurement in Turkey, selected BMC as the Prime Contractor for the Series Production Phase of ALTAY MBT and the National Unique Power Pack Development Program for the ALTAY MBT and gave green light to the SSM to start contractual negotiations with BMC. On April 24, 2018 Undersecretary Prof. İsmail Demir, announced with a tweet that under the ALTAY MBT Series Production Phase, covering 250 MBTs, and the National Power Pack Development Program, the SSM would initiate contractual negotiations with BMC in compliance with DIEC’s decree. On April 25, 2018 BMC announced that they have been invited by the SSM for the contractual negotiations for the ALTAY MBT Series Production Phase and the National Power Pack Development Program. On May 17, 2018, speaking at the TOBB Turkish Defense Industry Assembly Meeting Undersecretary Prof. Demir announced that the ALTAY MBT Series Production Phase contract would be inked soon with BMC. “We are about the sign contract”, he said. Series Production of ALTAY MBTs at BMC Karasu facilities is expected to start during late 2019 or in early 2020. Under the Series Production Phase, a total of 500 ALTAY MBT is expected to be procured in two batches and 50 more ALTAY MBT chassis are also expected to be manufactured and integrated with a mine breaching system to meet the Turkish Army’s 50 Mine Cleaning System requirements and some more for Armored Recovery Vehicle configuration. On January 16, 2018 the SSM issued Request for Information (RFI) to potential local companies for the procurement of Mine Cleaning Systems to be integrated on ALTAY chassis and on January 31, 2018 another RFI was issued under the Armored Recovery Vehicle (ARV) Program. The ARV will be based on the ALTAY MBT chassis. ALTAY pre-prototypes and prototypes are powered by EuroPowerpacks mounted in a ‘U Configuration’. Otokar already received five power packs from MTU under a €12 Million contract signed in October 2010 and integrated four of them onto MTR, FTR, PV-1 and PV-2 vehicles. The EuroPowerpack incorporates V-12 type MTU MT883 Ka-501CR diesel engine (27,35 liters, dry weight is 1,800kg) coupled to RENK’s HSWL 295TM automatic transmission (with 5 forward and 3 reverse gears, dry weight is 2,450kg) and a cooling and air filtration system. Some of the ALTAY MBTs to be produced during the course of the Series Production Phase are planned to be equipped with an indigenous power pack. Under the National Power Pack Development Program, on March 17, 2015 the SSM awarded a €190 Million contract to local company Tümosan for the development of an indigenous power pack with 1,500hp to 1,800hp diesel engines to be coupled with a hydro-mechanical transmission for the ALTAY MBT. According to contract the SSM should have been an owner of full intellectual property rights and export rights to the power pack. Tümosan selected well-known Austrian AVL List GmbH Company as its Technical Support and Assistance Provider and signed a contract with AVL on October 7, 2015. However, at the end of 2016, the Austrian government refused to provide Export License to AVL. According to contract clause AVL should have delivered the Export License to Tümosan by January 6, 2017. As a result, in January 2017, Tümosan terminated the cooperation agreement with AVL. At the end of an approximate two-year process the SSM dissolved the National Power Pack Development Program contract with Tümosan on February 24, 2017. SSM launched a new tender for the National Power Pack Development Program and RFP document was issued in October 2017. Bidders submitted their proposals on December 22, 2017 and following the evaluation of the proposals BMC (BMC Power) was selected as the winner during the March 29, 2018 DIEC meeting. The program will be carried out in two phases; Prototype Development and Series Production. Located at Teknopark Istanbul, BMC Power was also selected under the New Generation Armored Combat Vehicle (NGACV) Power Pack Development Program by the DIEC on October 28, 2016 and a contract was signed between the company and the SSM on October 13, 2017. Under the program BMC Power will design, develop, test, qualify and deliver a power pack to be consisted of a 675kW (905hp), V8 type 18-liter diesel engine coupling with an automatic transmission under a 68-month schedule. The contract became effective on January 4, 2018 and ‘To’ started. According to BMC officials currently 200 engineers including 70 foreign engineers are working on the power pack. The ALTAY MBT is operated by a crew of four, consisting of a commander, gunner, loader and driver. The commander is seated on the right side of the turret, with the gunner forward and below his position and the loader on the left side of the turret. The commander’s panoramic periscope is mounted in front of the loader’s hatch. The tank’s main weapon is a 120mm 55-calibre smoothbore gun fitted with a thermal sleeve; fume extractor and a muzzle reference system. Ready to use 120mm ammunition is bestowed in the turret bustle with blow out panels in the roof. The loader’s hatch has a ring mount for a 7.62mm machine gun, and Aselsan’s SARP Remote Controlled Weapon Station (RCWS), armed with .50-calibre (12.7mm) machine gun, is mounted on the left side of the turret roof (behind the loader’s hatch), for operation by the commander. The ALTAY MBT measures 10.85m in length, 3.68m in width and 3.32m in height, with a combat weight of 63.5 tons. Thanks to its powerful EuroPowerpack, ALTAY MBT could accelerate from 0 to 32km/h (0 to 20mph) in 6 seconds and attains a maximum speed of 65.5km/h, the speed and agility also helps to improve survivability. The ALTAY MBT can cruise 450km with internal fuel. Protected with modular composite armor developed by Roketsan, the ALTAY MBT is already equipped with the Aselsan built 360° Situational Awareness System, a Laser Warning Receiver (LWR) and a Battlefield Target Identification (IFF) System. The Indigenous Active Protection System (APS) is also being developed by Main Contractor Aselsan under the AKKOR Project valued at €54 Million, which includes design, development, test, qualification and production of two prototypes of Prototype-I (AKKOR-G1 for the MBTs) and two prototypes of Prototype-II (AKKOR-G, for the wheeled armored vehicles) and delivery of the prototypes to the SSM will take place in 2020. According to Aselsan development of the AKKOR APS sensor units started in 2008 and the development of the countermeasure was initiated in 2010. The AKKOR APS consists of an EW Computer, TLUS (soft-kill section), Physical Destruction Radar (FIRAD, four flat radar panels), Physical Destruction Munitions (FIM, HE blast grenades), Physical Destruction Launchers (FIMA, two twin launchers), Display Unit and a Control Panel. The CDR Phase of AKKOR APS was completed on December 25, 2017. According to SSM figures the Development Phase of the Program is valued at US$550 Million and each ALTAY MBT is expected to cost Turkey around €13,75 Million. BMC will perform Series Production of ALTAY MBTs and National Power pack for the ALTAY MBTs at its Karasu facilities, being constructed with an investment worth US$400 Million at Karasu, Kocaeli. The 220-hectare Karusu facilities will include four separate factories/plants and five production lines for Wheeled Armored Vehicles (BMC and RBSS), Tracked Armored Vehicles (BMC and RBSS), Light Commercial Vehicles (BMC), Rail System (BMC) and Engine (BMC Power). The first part of the Karasu facilities with an indoor area of 150.000m2 will become operational in 2019 and in 2023 the total indoor area will reach 550.00m2. According to BMC, the number of employees at the Karasu facilities will reach 10,000 in 2025 and 3,000 of them would be R&D engineers. RBSS will also have a production line at the Karasu facilities and the company is making an investment worth US$60 Million for this new plant. Soon after several Turkish M60A3, M60T and Leopard 2A4 MBTS were hit by Kornet-E/AT-14, Milan, TOW-II, 9K115-2 Metis-M and Fagot/AT-4 Anti-Tank Guided Missiles (ATGMs) launched by the Islamic State (ISIS) and YPG/PKK militants during Operation Euphrates Shield (carried out during August 24, 2016 – March 29, 2017) in Syria, in January 2017 the SSM launched a tender for the modernization of 120 M60T, 40 M60A3 and 81 Leopard 2A4 MBTs to improve their protection level and to increase their survivability against modern ATGM threats. In a large number of Turkish Army tanks deployed in Syrian territory during Operation Euphrates Shield. During Operation Euphrates Shield several armored vehicles were hit by ATGMs fired by ISIS and YPG/PKK terrorists. Most of these vehicles were damaged not destroyed and were later overhauled and repaired at the 2nd Main Maintenance Center (2nd MMC) in Kayseri and in Çobanbey/Gaziantep, where maintenance services were given to armored vehicles that participated in Operation Euphrates Shield. Thanks to their modern hybrid armor (both active and passive) M60T MBTs survived even after they were hit by more than one ATGMs and managed to protect their crew. As of January 23, 2017, five local companies (Aselsan, BMC, FNSS, Otokar, and Roketsan) submitted their bids to the SSM. During the IDEF ‘17 Fair, on May 11, 2017, a contract valued at Euro109.245 Million + TL25 Million was signed between Aselsan and the SSM for the modernization of M60T MBTs to increase their survivability against modern ATGM threat, their firepower and their situational awareness. Under the ‘M60T FIRAT (Euphrates) Modernization Program’ Aselsan, in cooperation with 2nd MMC, integrated a 12,7mm SARP RCWS, YAMGOZ Close-Range Surveillance System (360° Situational Awareness System), Tank Laser Warning Receiver System (TLUS, to detect, classify, identify and give warning of laser threats aiming on the platform such as; Laser Range Finders, Laser Designators and Laser Beam Riders), Tank Driver Vision System (TDVS), Smoke Grenade Launchers, Air Conditioning System, Auxiliary Power Unit (APU), Audible Warning System and Protective Coating (at the turret walls and ceiling, to maximize crew protection from possible shrapnel threats encountered in the event of RPG and ATGM attacks). The Project Implementation Schedule became effective as of June 13, 2017 and the deliveries were planned to be completed within 10 months (in April 2018). In April 2018 Undersecretary Prof. İsmail Demir announced with a tweet that under the M60T FIRAT Modernization Program delivery of the 90 40mm Automatic Grenade Launchers (AGL) had been completed. 40mm AGLs are integrated on SARP RCWSs and replaces the 12.7mm machine gun. Aselsan in cooperation with MKEK developed a 40mm smart grenade munitions with airburst function and performed firing tests in April 2018. Series production is expected to commence in June 2018. M60T FIRAT MBTs will be also integrated with the AKKOR PULAT Active Protection System (APS). Some of the modernized M60T FIRAT MBTs were deployed during Operation Olive Branch that was launched in January 20, 2018 against the YPG/PYD positions surrounding the Syrian city of Afrin. The SSM gave instruction to start APS for M60T FIRAT MBTs on June 28, 2017, and in October 2017 Aselsan signed a cooperation agreement with Ukrainian SFTE Spets Techno Export (Microtech Base Center) company for ZASLON-L APS. It is believed that AKKOR PULAT developed by Aselsan in cooperation with TÜBiTAK-SAGE and during the development stage; Aselsan obtained some level of technical support from Ukraine. The AKKOR PULAT APS consists of Counter a Measure Module (Anti-Threat Ammunition and High Technology Triggering Radar), Power Distribution Unit and a Control Panel. AKKOR PULAT provides 360 degrees full protection, depending on the placement of the modules on the platform. There is a total of six (maximum eight to protect top of the turret against top attack mode ATGM threat) Counter Measure Modules on M60T FIRAT MBT and each covers a 60-degree range. AKKOR PULAT APS, detects the Anti-Tank Guided Missiles (ATGMs) or rockets (RPGs) approaching to the platform with its high technology triggering radar, and then disables them at optimum range from the platform by using the Hard-Kill method. According to the SSM firing tests with triggering radar were performed in February 2018 with successful results. Further live firing tests at the system level and on-board a M60T FIRAT MBT was scheduled to be performed in March 2018. During the Aselsan facility tour that took place on May 7, 2018 Aselsan Deputy General Manager Mustafa Kaval disclosed that they have received a follow-on order under the M60T FIRAT Modernization Program and live firing tests with AKKOR PULAT APS have been completed successfully. “Currently we are performing integration efforts, AKKOR PULAT will be on M60T FIRAT MBTs by the end of 2018 summer,” he said. According to MoND Nurettin Canikli, AKKOR APS would be able to perform ATGM intercept at 100m distances from the tank, whereas AKKOR PULAT is able to destroy RPG and ATGM threats at 8-10m distances. According to Ukraine News Agency, the Turkish Government put out an urgent request for 120 complete Active Protection Systems to go on M60T and M60A3 and Leopard 2A4 MBTs, and Aselsan obtained a license from Ukraine’s Microtech to produce a version of their ZASLON-L system, which is called AKKOR PULAT in Turkey. Roketsan and Aselsan were selected for the modernization of M60A3 MBTs. By undergoing modernization, it is aimed to increase the survivability, the firepower and the situational awareness of 40 M60A3 MBTs (sufficient to equip one tank battalion) in the Turkish Land Forces service. Dubbed as M60A3T1, the modernized M60A3 MBTs are integrated with a 12,7mm SARP RCWS, YAMGOZ Close-Range Surveillance System (360° Situational Awareness System), Tank Laser Warning Receiver System (TLUS), Smoke Grenade Launchers, Tank Driver Vision System (TDVS), Fire Extinguishing – Explosion Suppression System, Audible Warning System, Power Distribution Unit, Protective Coating and Increased Armor Protection (Roketsan’s add-on ERA armor modules and slat armor at the rear of turret). M60A3T1 MBTs will be also integrated with Aselsan’s AKKOR PULAT APS. Photos of the modernized M60A3T1 MBTs were posted on social media/twitter accounts in March 2018. BMC (RBSS) was selected for the modernization of 81 Leopard 2A4 MBTs (sufficient to equip two tank battalions/one brigade) and a contract was signed in 2017 between the BMC/RBSS and SSM. According to BMC Land Platforms General Manager Bülent Santarcıoğlu, focusing mainly on armor and fire control system upgrade the Leopard 2A4 MBT modernization is based on Rheinmetall’s solution (probably based on Leopard 2 MBT Revolution upgrade) and currently being carried out at a facility allocated by the Turkish Land Forces Command. Modernized Leopard 2A4s will be also integrated with APS but it has not yet been disclosed whether the AKKOR PULAT of Aselsan or ADS-Gen3 APS of ADS GmbH, part of the Rheinmetall Group companies, has been preferred. As the leading defense company for MBT modernization in Turkey, Aselsan has previously played important roles in the major MBT (171 Leopard 1A1/A4 and 170 M60A1) and APC (provides un-cooled thermal cameras for ACV-15 AAPCs and BTR60 APCs) modernization programs of the Turkish Armed Forces (TAF) and has also developed an indigenous fire control system for the T-155 FIRTINA-I and FIRTINA-II Self Propelled Howitzers (SPH) of the Turkish Army. The Turkish Army procured a total of 339 (298+41) Leopard 2A4s (+15 for spare parts) from the German Army surplus and one of them was upgraded by Aselsan under a contract awarded in April 2010 by the SSM. After modernization the tank was dubbed as the Leopard 2NG (Next Generation). Under the US$687.5 Million contract awarded in March 2002 to IMI of Israel, 170 M60A1 MBTs of the Turkish Army were modernized with the participation of local companies. A prototype tank was modernized in IMI facilities and the remaining 169 tanks at the 2nd Main Maintenance Center (MMC) in Kayseri. The deliveries of the modernized tanks, dubbed as M60T, were completed in April 2010. Under the project, 120mm smooth bore Main Gun System (MG253) and 120mm KE ammunition were produced at MKEK facilities (under IMI license), Fire Control System and Electrical Gun and Turret Drive System were delivered by Aselsan (under El-Op/Elbit license) and the fire extinguishing and explosion suppression system produced locally under license by Forum AŞ. Serial production of the first batch the New Generation T-155 FIRTINA (FIRTINA-II) Self Propelled Howitzers (SPH) will be commenced in 2018. According to the Aselsan 2017 Activity Report, the first phase of Qualification Tests with FIRTINA-II prototype was carried out in 2017. Speaking at the Aselsan facility tour that took place on May 7, 2018 Aselsan Deputy General Manager Mustafa Kaval underlined that FIRTINA-II SPH is a totally national platform, because some of the subsystems that used on FIRTINA-I were procured from abroad/foreign companies but all of them have been replaced with indigenous/local units on FIRTINA-II SPH. Developed over existing FIRTINA-I SPH, the FIRTINA-II SPH features some improvements over its predecessor including new turret design with ammunition climatization/conditioning sections, fully electrical and servo controlled turret drive system (replacing hydraulics based drive system), improved Fire Control System, increased firing rate (current version able to fire 3 rounds in 15 seconds, this rate has been shortened in FIRTINA-II), extended effective range, fully automatic ammunition loading system (FIRTINA-I is equipped with electrically driven and electronically controlled automatic ammunition loading system) and integrated with Aselsan’s 12,7mm SARP RCWS for self-protection. Some of the existing FIRTINA-I SPHs are also expected to be upgraded to the FIRTINA-II level. The 155mm, 52 caliber FIRTINA-I SPH is one of the best of its category with outstanding features such as improved digital fire control system, capability of digital integration to the upper Fire Control Centers. During 2004-2014 1st Main Maintenance Center (MMC), situated in Arifiye, Adapazarı with support of other local companies manufactured a total of 281 FIRTINA-I SPH for the Turkish Land Forces Command. The 155/52-calibre gun and some subsystems and equipment used on the first 60 FIRTINA-I SPHs were procured directly from South Korea. Under the program MKEK delivered the complete 155/52-calibre weapon system, Aselsan delivered the Fire Control System (FCS) and the 1st MMC manufactured the platform, turret and some subsystems. Operated by a crew of five, the 155/52 caliber T-155 FIRTINA-I SPH has a maximum firing rate of up to six to eight rounds per minute thanks to its automatic shell loading system. The maximum range of the 155/52-calibre gun is 18km with M107 (HE), 30km with M549A1 RAP (HE) and 40+km with MKEK/Roketsan MOD 274 HE ER ammunition. In order to meet the Turkish Army’s long range, HE type artillery munitions requirement MKEK, in cooperation with Roketsan (responsible for the base bleed unit of the ammunition), has developed MOD 274 HE extended range (ER) 15mm 52 caliber artillery ammunition and received a contract for the delivery of first batch of 5.020 MOD 274 ammunitions at the end of 2014. In 2017 follow on orders for an additional 9.000 (2.000 + 7.000) MOD 274 HE artillery ammunition were awarded. The T-155 FIRTINA-I SPH is powered by a German MTU-881 KA 500 1.000hp diesel engine coupled with Allison’s X1100-5 fully automatic transmission. Using same chassis and turret with T-155 FIRTINA-I SPH, the POYRAZ Ammunition Resupply Vehicle is capable of loading ammunition in the supply area and transferring ammunition to the FIRTINA-I SPH within the required time and location in all kind of terrains and battlefields. The POYRAZ Ammunition Resupply Vehicle has the necessary mobility and survivability capabilities for operation within the tactical operational environment of FIRTINA-I SPH. Fitted with Aselsan’s automatic Ammunition Transfer System, compatible with all kinds of ammunition used for FIRTINA-I SPHs, the POYRAZ vehicle can carry 96 155mm artillery projectile and 96 modular power charges. It can transfer 48 projectiles and 48 modular powder charges in less than 20 minutes to the FIRTINA-I SPH. The 1st MMC completed production of the POYRAZ Ammunition Resupply Vehicle prototype in 2011 and the vehicle was displayed during the IDEF ‘11 Fair. Following the extensive test campaign acceptance of the prototype vehicle completed and the serial production phase, covering 70 vehicles, was commenced in 2013. The vehicle is 9,5m long, with a height of 3,76m and weighs 47 ton. The POYRAZ Ammunition Resupply Vehicle is operated by three crew members and powered by a V-12 type 750hp AVDS-1790 diesel engine coupled with an Allison CD-850 automatic transmission. This power pack was obtained from M48A5T1 MBTs that were taken out of service in the Turkish Army. Under the Weapon Carrier/Anti-Tank Vehicle (WCV) Program, a total of 260 wheeled and tracked type anti-tank vehicles to be integrated with Remotely Operated Anti-Tank Turret, will be indigenously developed in order to carry the new generation KORNET-E Anti-Tank Guided Missile Systems (ATGM) currently in service of the Turkish Land Forces Command (TLFC) and also for those to be acquired by the SSM under the MIZRAK-O/OMTAS Project. The program was launched in April 2013 and on June 21, 2013 the SSM issued an RFP document to FNSS and Otokar to procure 184 tracked and 76 wheeled Weapon Carrier/Anti-Tank Vehicles. Following the evaluation of the proposals, Defense Industry Executive Committee (DIEC) decided to initiate contract negotiations with FNSS, and contract was signed on June 27th, 2016. Under the contract, FNSS will deliver 184 WCVs based on KAPLAN-10 tracked type armored vehicle and 76 WCVs based on PARS 4x4 Wheeled Armored Vehicle (WAV). Under the contract, which became effective on October 14, 2017, FNSS will deliver 184 WCVs based on KAPLAN-10 tracked type armored vehicles and 76 WCVs based on PARS 4x4 Wheeled Type Armored Vehicle (WAV). 80 of the KAPLAN-10 WCVs will be equipped with KORNET-E ATGMs and the remaining 104 will be equipped with Roketsan’s MIZRAK-O/OMTAS ATGMs. All of the 76 PARS 4x4 WCVs will be equipped with Roketsan’s MIZRAK-O/OMTAS ATGMs. Under the contract, the System Requirement Review Meeting and Preliminary Design Review Meetings were held, and the Critical Design stage was completed in 2017. Following the 15-month effort FNSS completed the manufacture of the KAPLAN-10 prototype in January 2018 and started Verification and Qualification Tests in March. The production of the prototype of PARS 4x4 WCV was completed in April 2018 and to Qualification Test have been launched in May 2018. Series production will start following the completion of Qualification Tests and establishment of the production line. Deliveries for KAPLAN-10 WCVs and PARS 4x4 WCVs will be launched in 2019 and will be completed in 2021. Both the KAPLAN-10 and PARS 4x4 WCVs will have amphibious capabilities and are to be fitted with unmanned, Remotely Operated Anti-Tank Turret carrying just two (four was planned in the beginning) KORNET-E or MIZRAK-O/OMTAS ATGMs and a 7,62x51mm machine gun. The 15-ton class KAPLAN-10 Light Armored Weapon Carrier has twin 5 road wheeled tracks, has the ability operate in hot/cold weather conditions at high speed not only on asphalt and stabilized highways, but also in soft soil, muddy and rough terrains. The advanced suspension system, tracks have been designed to reduce vibration and increase road holding. While the power pack cabin and the expanded driver area are located in front of the vehicle, the gunner and the commander areas are located in the middle of the vehicle. KAPLAN-10 will be operated by 5 crew and will provide diversified level NATO STANAG ballistic protection and mine protection against mines and IEDs to the crew. As the last member of the PARS WAV Family, the PARS 4x4 with its 5 crew can operate in water that is deep and fast moving without any preparation. Powered by a diesel engine, coupled with fully automatic transmission, with a length of 5m and a height of 1,9m and a width of 2,5 m PARS 4x4 can reach 120km/h on the road and can swim at speed of 8km/h with 2 water jets. The vehicle can switch from a 4x4 mode for rough terrain to a 4x2 mode for use on highway. Having a power to weight ratio of 25-30hp/tons the PARS 4x4 can operate on any rough terrain with a reduced break angle, low center of gravity, fully independent suspension system, ABS-assisted hydraulic disc brakes, low ground pressure and increased angles of approach and departure. Meeting the Turkish Armed Forces’ wheeled armored vehicles requirement from local sources since late 1980s, the SSM launched the Special Purpose Tactical Wheeled Armored Vehicle (SPTWAV) and the Weapon Carrier/Anti-Tank Vehicle (WCV) Programs in November 2006, to meet the respective requirements of the Program of the Turkish Land Forces Command. The SPTWAV Program covers the procurement of 472 tactical wheeled armored vehicles both in 6x6 (in two configurations) and 8x8 (in two configurations) versions and related mission equipment for tactical reconnaissance, surveillance and CBRN (Chemical, Biological, Radiological and Nuclear) reconnaissance missions of the Turkish Land Forces. Under the program 121 Command Vehicles (in 6x6 configuration to be equipped with a 25mm turret), 217 Sensor/Reconnaissance Vehicles (in 8x8 configuration to be equipped with pintle mounted gun and a Mast with EO sensors), 74 Radar Vehicles (in 6x6 configuration to be equipped with mast mounted surveillance radar), and 60 CBRN Reconnaissance Vehicles (in 8x8 configuration to be equipped with 12.7mm RCWS and CBRN sensors) will be procured from a local supplier. On September 5th, 2014 the RFP document was issued by the SSM to the local companies and requested to submit their proposals by December 1st, 2014 and this deadline was later extended to February 27, 2015. However, proposal delivery deadline was extended once again and finally bidders submitted their first proposals during the second half of 2015 and their revised proposals during the second half of 2016. In late 2016 bidders were asked to submit their Best and Final Offers (BAFOs). The tender process was completed in early 2017. However, bidders have asked to revise their proposal to meet the indigenous power pack (engine and transmission) requirement. Following the four to five months of studies bidders submitted their revised proposal once again to the SSM during the second half of 2017. Within the scope of the SPTWAV Program, the SSM aimed to award contract during the first quarter of 2018. The SPTWAV Program was on the agenda of the January 31, 2018 DIEC meeting, however there was no reference to the SPTWAV Program at the official announcement. According to sources the number of vehicles to be procured under the SPTWAV Program was decreased so a new tender process is expected. KORKUT Self Propelled Anti-Aircraft Gun (SPAAG) System project covers the procurement of 42 Weapon System Vehicles (SSA, will replace existing aged M-42A1/A2 Duster Walker systems) and 14 Command and Control Vehicles (KKA) all based on the FNSS ACV-30 Armored Combat Vehicle (ACV) chassis. On June 25, 2011, Aselsan, the Main Contractor of the SPAAG System program, awarded a Tracked Carrier Vehicle Development Contract to FNSS for the design, development and production of one Command and Control Vehicle chassis and two Weapon System Vehicle chassis prototypes to be based on the ACV-30 in two years. After an extensive mobility and firing test campaign that was launched in 2015 and carried out with the participation of the SSM and Turkish Army representatives, acceptance of these vehicles were carried out on in 2016 and KORKUT SPAAG prototypes (2x Weapon System Vehicles and 1 Command & Control Vehicle) entered the service of the Turkish Army. Following the successful completion of the prototype development and qualification phase KORKUT SPAAG Series Production Phase, covering the production and delivery of 40 SSAs and 13 KKAs was launched with a contract signed between the SSM and Aselsan in May 2016. Aselsan then signed a contract with FNSS to procure a total of 53 ACV-30 tracked vehicles. Under the contract FNSS will deliver the first batch of ACV-30 chassis in May 2018 to Aselsan, who will then convert them into KKA and SSA configurations. ACV-30 platform chassis is provided with a unique, space laminated armor system combining steel and aluminum technology for a protection against firing of small arms and mine blasts. Powered by a 600hp diesel engine, coupled with a fully automatic transmission, with a length of 7,07m and an overall height of 3,62m the 3,9m wide ACV-30 can reach 65km/h on the road and can swim at a speed of 6km/h with 2 water jets. Having a combat weight of 29,5 tons the ACV-30 has a cruising range of 500km. On March 7, 2017 the Armored Amphibious Assault Vehicle (ZAHA/AAAV) Program contract was signed between the SSM and FNSS. Under the contract the ZAHA will be developed and produced by FNSS based on an indigenous development model. FNSS will deliver a total of 27 vehicles, including 23 personnel carriers, 2 in command and control vehicle and 2 in recovery vehicle configurations. The technical characteristics of the ZAHAs were determined by taking into consideration the operational concept and mission requirements defined by the Turkish Naval Forces Command. The ZAHA/AAAVs will be able to carry 21 fully equipped infantries as well as 3 crew. They will have ballistic and mine protection at a certain level and will be able to move rapidly in water and on land. They will have the capabilities of firing at targets with their unmanned turret with a 12.7mm Machine Gun (MG) and a 40mm Automatic Grenade Launcher (AGL) and perform operations at various sea levels. Compared to similar examples, these vehicles are expected to be superior in the following respects: Number of personnel transported by the vehicle, Level of ballistic and mine protection and performance on land and in water. The ZAHAs will be deployed on the TCG Anadolu LHD vessel (to be based on Juan Carlos I LHD design and under construction at SEDEF Shipyard in Tuzla, Istanbul) of the Turkish Navy. In addition to enabling the safe landing of units during landing operations, ZAHAs also serve as armored combat vehicles or armored personnel carriers after reaching the shore. During the landing phase of an operation, these vehicles are launched from the LHD (landing helicopter dock) approaching the coast, and rapidly cover the distance of several kilometers in between, allowing units to land with minimum delay. Once on land, they can continue taking part in operations side by side with other armored vehicles. Powered by a diesel engine, coupled with fully automatic transmission, with a length of 8,3m and a width of 3,3m the ZAHA can swim at a speed of 7km/h with 2 water jets. With a combat weight of 30 tons the ZAHA will have a 21-troop capacity in addition to the three-man crew (driver, commander and gunner). To be integrated with a remotely operated turret armed with a 12,7mm machine gun and a 40mm automatic grenade launcher the ZAHA can operate at various sea state in 4 conditions. The ZAHA will be able to negotiate up to 40% side slopes and 60% gradient and could cross natural or man-made obstacles up to 90cm high, and trenches 2m wide. The Indonesian Modern Medium Weight Tank (MMWT) Program stands out, as it is the first Government-to-Government (G2G) cooperation project in the Turkish Land Platforms/Systems Sector. During Indo Defense 2014 Fair, the Indonesian Ministry of Defense (MoD) and the Un¬dersecretariat for Defense Industries (UDI/SSM) of the Turkish Ministry of National Defense (MoND) signed a Memorandum of Understanding (MoU) on November 7, 2014 to establish a G2G development program for a medium weight tank, under the sponsorship of the two sides, to meet Indonesian Army requirement. FNSS Defense Systems and Indonesia’s state-owned company PT PINDAD teamed up as the industrial partners of the MMWT Program and the development work started in 2015. The cooperation agreement between FNSS and PT PINDAD covers the design, development, manufacture, testing and qualification of two MMWT prototypes. The conceptual design of MMWT was completed and revealed during Indo Defense 2016 Fair held in Jakarta, Indonesia in November 2016. The first prototype developed and manufactured by FNSS in Ankara, Turkey is currently undergoing qualification trials in Indonesia, which was unveiled at the IDEF ‘17 Exhibition in Istanbul and also participated in the Army Day Parade in Indonesia on October 5, 2017. PT PINDAD engineers, who have been trained in the engineer¬ing development and manufacture phases of the first prototype at FNSS, recently completed the production of the second prototype in Indonesia with support from FNSS. The qualification of the two MMWT prototypes as well as firing trials and durability tests are expected to be completed by the third quarter of 2018 (July 2018). FNSS and PT PINDAD have already initiated negoti¬ations towards the serial production of the MMWT platforms, which the Indonesian Government indicates a keen interest in. Within the scope of the MMWT Program, diverse cooperation project models such as technology transfer, local production, and joint production were also carried out. Turkey and Indonesia established a long-lasting cooperation in the land vehicles sector with the MMWT Program. Both parties benefited from the mutual transfer of experiences, and the fact that the project was completed in accordance with the planned schedule is an indicator of the harmony between the countries and the companies. Based on the FNSS KAPLAN-30 chassis and dubbed as ‘Black Tiger’ by Indonesia, the MMWT design comprises advanced ballistic and mine protection with a broad range of firepower, from close support of infantry to anti-armor. MMWT’s precision direct fire capability ensures required lethality with an outstanding tactical and strategic mobility. Rear configuration power pack of the vehicle is combined with advanced electronic controlled systems and heavy-duty suspension system. The vehicle’s new generation engine supplies adequate power, coupled with a fully automatic electronic controlled transmission, which results in a minimum of 20hp/ton ratio, depending on the configurable protection system. MMWT gets its advanced mobility capability from a 6-wheeled suspension system built on torsion bars with double pinned tracks. The MMWT tank is fitted with CMI’s Cockerill 3105 (CT-CV 105HP) turret armed with a high-pressure 105mm L-53 CV rifled gun and a coaxial 7,62mm machine gun and for ease of deployment in jungles/tropical forests and soft grounds of Indonesia the vehicle has a combat weight of 35 tons. Since the main gun uses an autoloader (with 12 rounds ready to fire) the MMWT has a three-man crew. With a length of 7m, a width of 3,2mand a height of 2.7m the MMWT has a top speed of 70km/h on roads and a cruising range of 450km, with on-board fuel. In order to have a minimum power to weight ratio of 20hp/tons the MMWT is believed to be powered by a 700hp class power pack. The MMWT is planned to be ready for Series Production in 2019. The initial order is expected to cover 100 MMWTs but in the medium term, the demand for the vehicle is expected to increase to as many as 300. Speaking at the SAVTEK 2018 Conference held at Istanbul Technical University (ITU) on May 7, 2018 BMC Land Platforms General Manager Bülent Santarcıoğlu underlined that since 2011, BMC has completed delivery of 1,433 KIRPI-I and KIRPI-II Mine Resistant Ambush Protected Vehicles to the Turkish end users and as of May 2018 in a large number of these vehicles have been deployed in Syria (Afrin). Meanwhile, under the Flexible Layered Cage Armor System Project as of April 2018, 160 KIRPI-I MRAPS have been equipped with Flexible Layered Cage Armor System. To meet Turkish Land Forces’ 468, Mine Resistant Ambush Protected Vehicle requirement under the Tactical Wheeled Vehicle-I (TTA-I) Project SSM selected BMC 350-16Z, based on Hatehof’s Navigator 4x4 armored vehicle and awarded a contract valued at €115.560 Million to BMC in April 2009. According to the contract the first batch of vehicles should be delivered in August 2010 and the final batch should be by the end of 2012. However, due to financial problems BMC failed to meet its contractual obligations and deliveries could only be launched in February 2011. Deliveries of the BMC 350-16Z vehicle, dubbed as KIRPI (Hedgehog) by the Turkish Army, stalled in 2012 due to BMC’s financial problems and until March 2013 only 293 KIRPIs had been delivered. Since BMC failed to fulfil the contractual terms due to financial difficulties the contract was terminated by the SSM in 2013. Meanwhile Turkey’s state-owned Savings Deposit Insurance Fund (TMSF) confiscated the assets of BMC in May 2013 in return for company’s outstanding debts after it went bankrupt. TMSF announced in February 2014 that BMC would be put up for sale at an estimated value of TL985 Million. At the end of sale process ES Mali Yatırım (ES Financial Investment) of Ethem Sancak’s, purchased the company. TMSF approved the sale of BMC to a local finance house ES Mali Yatırım (ES Financial Investment) in May 2014 and on June 2, 2014 ES Mali Yatırım asked the Competition Authority for permission to allow the Qatar Armed Forces Industry Committee (AFIC) to invest in the company in order to resume production. AFIC acquired a 49% share of BMC from ES Mali Yatırım. Now a 49% share of BMC is owned by AFIC, 25+1 share is owned by Talip Öztürk and a 25% share is owned by Ethem Sancak. Meanwhile the Turkish MoND signed a follow-on contract with TMSF on October 24, 2013 for the procurement of 321 KIRPI Mine Resistant Ambush Protected Vehicles. Soon after resuming its production BMC delivered the first batch of 20 KIRPI vehicles to the Tunisian Ministry of National Defense (MoND). In late 2013, the Tunisian MoD awarded an undisclosed value of contract to BMC for the procurement of 40 BMC 350-16Z KIRPI MRAPs. Deliveries were completed in two batches during 2014. The first batch of 20 vehicles were delivered in February 2014 and the second batch in July 2014. 10 of these vehicles were equipped with Doodam RCWS. In 2015 Tunisia placed a follow-on order for a further 101 KIRPI MRAPs in various configurations including 4 Ambulance vehicles. Some of the vehicles are equipped with the passive RPG protection system (AmSafe Bridport’s TARIAN). BMC also secured orders to deliver 40 KIRPI MRAPS to Qatar (all of them to be equipped a Dodaam RCWS) and 100 KIRPI MRAPs in various configurations (including 10 Ambulance vehicles) to Turkmenistan. BMC re-launched KIRPI deliveries to the TLF in March 2014. According to the SSM 2014 Activity Report total value of 614 (293+321) KİRPİ-I MRAPs, that were procured for the Turkish Army under the Tactical Wheeled Vehicle-I (TTA-I) Project from BMC, is €151,439 Million. Turkish Army is not the sole user for KIRPI vehicles in Turkey, Gendarmerie General Command (over 300 vehicles) and Security General Directorate (SGD/Turkish National Police, over 200 vehicles); also have KIRPI MRAPS in their inventories. To meet Turkish end users (including Turkish Army, Gendarmerie General Command and Security General Directorate) further KIRPI MRAP requirement the SSM awarded a contract to BMC under the Tactical Wheeled Vehicle-II (TTA-II) Project on August 8, 2017 for the procurement of 529 New Generation KIRPI (KIRPI-II) MRAPs. Deliveries of the KIRPI-II MRAPs commenced in 2017 and is expected to be completed in 2018. Compared to KIRPI-I (fitted with leaf spring suspension system), KIRPI-II has an independent suspension system and also features composite armor, manufactured by a local company. Some of the KIRPI-I and KIRPI-II MRAPS in Turkish Army, Gendarmerie General Command (GGC) and Security General Directorate (SGD) services are integrated with Aselsan’s SARP 12.7mm and Dual SARP (can be armed with 7.62mm and 12,7mm machine guns and a 40mm automatic grenade launcher) RCWSs. On April 5, 2017 Aselsan disclosed that they have secured a contract worth €37 Million (TL145 Million) from BMC for the delivery of an undisclosed number of SARP-Dual RCWSs. Deliveries were completed in 2017. In October 2017 Aselsan disclosed that they have secured a contract worth €27.7 Million from BMC for the delivery of undisclosed number of SARP-Dual RCWSs. In January 2018 Aselsan secured a new contract from BMC valued at €76.81 Million for the delivery of undisclosed number of SARP RCWs in 2018. During an Aselsan facility tour that took place on May 7, 2018 Aselsan Deputy General Manager Mustafa Kaval disclosed that Aselsan manufactures 7 SARP RCWSs per day and around 150 in month and as of May 7, 2018 1.458 SARP/Dual SARP RCWSs have been manufactured, 10% of them were export customers such as Kazakhstan and Qatar. Powered by an 8.9 liter, 375hp (previous batch vehicles in Turkish Army, GGC and Tunisian Army services are powered by 350hp version of the same engine) Cummins ISL9E3+375 turbo diesel engine. The KIRPI has a 13-troop capacity including the three-man crew (driver, commander and gunner). With a combat weight of 19,910kg KIRPI-I/II 4x4 featuring STANAG 4569 Level 4 mine and Level 3 ballistic protections. KIRPI could fold 80cm (120cm optional) of water, negotiating 30° side slopes and a gradient of 60%. BMC showcased the 6x6 configuration of the vehicle for the first time at Eurosatory 2012. Thanks to its higher payload capacity KIRPI 6x6 could be equipped with mine plough and mine detection equipment for mine clearance applications and a RCWS. Though the vehicle’s length has been extended its personnel capacity is still 13 (can be increased to 15 with the addition of two seats). With a combat weight of 23 tons KIRPI 6x6 shares a similar power pack with its sisters KIRPI-I/II 4x4. Meanwhile, BMC secured a contract to deliver 50 KIRPI-II MRAPs and 35 AMAZON 4x4 Multipurpose WAVs to Qatar during the Doha International Maritime Defense Exhibition and Conference (DIMDEX 2018), which was held at the Qatar National Convention Center in Qatar’s capital Doha on March 12-14, 2018. BMC also secured a contract from the SSM to deliver an undisclosed number of AMAZON 4x4 Light Armored WAVs to SGD and 700 VURAN WAVs to GGC including an undisclosed number of 120mm Automatic Mortar Vehicles (dubbed as FATİH). Under the contract VURAN 4x4 WAVs deliveries to GGC started in 2018 and the first batch of FATİH Automatic Mortar Vehicles are expected to enter GGC service during the summer of 2018. The FATİH Automatic Mortar Vehicle is equipped with Aselsan’s ALKAR AKS-120 automatic mortar system. Revealed during the IDEF ‘17 Fair and having performed live firing tests in December 2017, the Aselsan ALKAR is a turret for launching 120mm mortar from mobile carriers or from fixed positions. The ALKAR turret can rotate 360 degrees and operate in day or night, all terrains and weather conditions. Under the contract valued at US$559 Million and awarded in February 2011, in cooperation with DRB-HICoM DEFTECH of Malaysia FNSS will design, develop and produce a total of 257 armored personnel carriers to be based on PARS-II 8x8 in 12 different configurations including; the infantry fighting vehicle (IFV), armored fighting vehicle (AFV), the armored personnel carrier (APC), tank destroyer (AFV-ATGW), command vehicles (ACV), signals (AVS), reconnaissance vehicle as well as recovery vehicle. While the original PARS 8x8 was a 24-25-ton vehicle, the AV-8 IFV-25 configuration weighs 28 tons and its equipment differs considerably from that of PARS. Deliveries will span over 7 years and are planned to be completed by 2020. Malaysia is said to be considering placing an order for the second and third batches of AV-8 vehicles. The second batch is expected to be on the agenda around 2021-2022. On December 6, 2014 the Malaysian Army received the delivery of the first 12 of 257 AV-8 Gempita Armored Combat Vehicles (ACVs). The then Malaysian Army Chief General Raja Mohamed Affandi Bin Raja Mohamed NOOR accepted the first batch of 12 vehicles, all of which are in the IFV-25 configuration. During a ceremony witnessed by the then Prime Minister Najib Tun Razak, formally named the vehicle ‘the Gempita’, which is a Malay term for ‘thunderous noise’. The IFV-25 configuration of the AV-8 ACV is fitted with a one-person FNSS Sharpshooter turret armed with a stabilized ATK Armament Systems M242 25 mm dual-feed gun and an FN MAG 58M 7.62 mm co-axial machine gun. 46 of the 257 AV-8 vehicles will be delivered in IFV-25 configuration. Weapons systems capabilities of the AV-8 Gempita includes; 25mm gun, specially designed two-man turret with 30mm gun, 12.7mm RCWS as well as an Anti-Tank Guided Weapon (ATGW). The first 12 platforms have been delivered by FNSS, after which the program continues with the delivery of knockdown kits. DEFTECH engineers have participated in the design and devel¬opment of the AV-8 vehicle at the Gölbaşı Facilities of FNSS for a period of two years. Under the AV-8 Gempita Program, as of May 2018, 122 vehicles in 7 variants have been delivered so far to the Malaysian Land Forces and the project is expected to be completed by 2020. Four of the variants are in the development and testing phase with the remaining one in the configuration finalization stage. The official delivery of the first PARS-III Wheeled Armored Vehicle (WAV) to the Royal Army of Oman (RAO) took place on July 12th, 2017 at the FNSS facilities located in Gölbaşı, Ankara/Turkey. Painted in the camouflage used by the RAO the first PARS-III WAV, with a hull number of 001, is in an 8x8 configuration and Armored Personnel Carrier (APC) variant. Also dubbed as IFV-25 variant the PARS III 8x8 APC is fitted with a one-person FNSS SABER 25 turret armed with a stabilized ATK Armament Systems M242 25mm dual-feed cannon and an FN MAG 58M 7.62 mm co-axial machine gun. Following trials that lasted three years (PARS 8x8 performed country trials in Sultanate of Oman in summer 2012), tests and the proposal evaluation period under the RAO WAV Program during the second half of 2015 FNSS received a contract of approximately US$500 Million from RAO and the Ministry of Defense of the Government of the Sultanate of Oman to design, develop, manufacture, qualify (both international and customer) and deliver a total of 172 PARS-III WAVs in 13 variants and the contract became effective on September 20, 2015. The contract period will be finished in May 2020. This contract represents the second export order for the PARS WAV following Malaysia. RAO PARS-III 8x8WAVs feature some country specific modifications and upgrades and have slightly different appearance compared to PARS-II/AV-8 Gempita vehicles of the Malaysian Army. Contrary to PARS-II/AV-8 vehicles, the RAO PARS-III WAVs does not have swimming capability but in return they have better ballistic and mine/IED protection thanks to add-on armor modules. Contrary to Malaysian AV8 Gempita (Thunder) Program covering the delivery of a total of 257 8x8 WAVs, which is based on PARS II, to Malaysian Armed Forces in cooperation with local partner DRB-HICoM DefTech, which acts as the principal assembly agent and works with FNSS to customize the vehicles for Malaysian requirements and equipment, all of the RAO PARS-III WAVs will be manufactured and assembled at FNSS facilities in Ankara, Turkey. The 172 PARS-III WAVs include 145 8x8 in 8 variants and 27 6x6 vehicles in 5 variants. The 145 PARS-III 8x8 WAVs include; 72 units in Armored Personnel Carrier Vehicles (APC, IFV-25 variant) configuration, 22 in Armored Main Command Vehicles, 16 Armored Specialized Command Vehicle, 12 in the 120mm Armored Mortar Vehicle, 8 in the Armored Ambulance Vehicle, 8 in the Armored Recovery Vehicle, 6 in the Armored Field Engineer Vehicle and 1 in the Armored Training Vehicle variant. The 27 PARS III 6x6 WAVs include; 12 in the Armored Reconnaissance Vehicle configuration, 6 in the Mortar Fire Controller Vehicle, 4 in the Armored Radio Relay Vehicle variant, 4 in the Armored Specialized Command Vehicle and 1 in the Armored Training Vehicle. Under the Program, Common Base Vehicle Concept Design was approved in May 2016 and the production of the first vehicle (PARS-III 8x8 APC with hull number 001) started in August 2016. Initial Inspection of the first vehicle (PARS III 8x8 APC) was held between June 5th-16th, 2017 in Turkey. Durability Test and Final Acceptance of the first 8x8 vehicle was conducted in Oman. As part of Acceptance Tests, PARS-III 8x8 APC underwent live firing test in November 2017 at Safrat Al Dooh firing range. The second vehicle of the Program is an Armored Reconnaissance Vehicle and is in 6x6 configuration. Currently in the third year of the program, after completing a challenging durability qualification of the first vehicle, as of May 2018, 8 PARS-III vehicles have been delivered to the ROA as a first batch, where a total of 48 platforms are expected to be delivered by the end of 2018. The start of PARS-III deliveries to ROA also has a positive impact on Turkey’s defense exports to Oman. According to the Turkish Exporters’ Assembly (TIM) figures, during January 1st – April 30th, 2018 Turkey exported around US$70,724,740 Million worth of defense and aerospace equipment to OMAN, during January 1st – March 31st, 2018 this figure was at the level of US$21,741 Million. Together with these vehicles FNSS will also provide extensive Integrated Logistic Support (ILS) and deliverables within this Program, including two years of free maintenance under warranty and four years of additional support. The Long-Term Support for the PARS III WAVs will last 20 years after warranty. The PARS-III 8x8 is powered by a German Deutz turbocharged, water-cooled diesel engine, developing 550hp coupled to a fully automatic transmission with 7 forward and 1 reverse gear. Meanwhile, the power pack of the PARS III 6x6 consists of a water-cooled turbocharged diesel engine with an output power of 483hp and a fully automatic transmission with 7 forward and 1 reverse gears. The diesel power pack is mounted to the rear of the driver on the left side of the hull, between the first and second axles. The power pack architecture, which allows disassembly and reassembly in less than 60 minutes, allows the user to replace the engine in the field as an additional benefit. The hull of the PARS-III consists of a composite aluminum and steel armor that provides a protection for the crew and infantry against firing of small arms 7.62mm armor-piercing attack through a full 360 degrees. The PARS-III is more protected than the basic PARS 8x8 with additional armor mounted at the front and to the sides of the hull. FNSS claims that the hull design of the PARS-III offers a higher level of ballistic and mine protection compared to PARS-I and PARS-II/AV-8 ACVs. The PARS-III WAV is fitted with an NBC protection (face mask protection system and positive pressure system depending the variant) system for defense against nuclear, biological, chemical threats and the survivability is further enhanced by smoke grenade launchers located on both sides of the vehicle and on the SABER 25 turret. With a combat weight of 1.800kg the SABER 25 turret features a digital fire control and sighting system includes a 3rd Generation Long Wave [8-12 μm] or Mid Wave [3-5 μm] Thermal Imager, a telescopic day optical channel, unity window for surveillance, and an eye safe Laser Range Finder with 8.000m range and ballistic computation capability. The gunner is also provided with two up-look periscopes for all around vision. The gun turret drive system is electrical and fully digital with two-axis stabilization capability to ensure a high accuracy of fire on the move. The main armament consists of a M242 25mm dual-feed automatic cannon with 240 [150 HE / 90 AP] ready to fire rounds. The secondary armament is a 7.62mm coaxial machine gun with 600 ready-to-fire rounds. According to FNSS, thanks to 3rd Generation digital fire control and sighting system the first vehicle PARS-III 8x8 APC has performed very precise firings with SABER 25 turret during Initial Inspection held in June 2017 even at firing tests performed at 3km distance to a fixed target. While the PARS-III 8x8 APC and 6x6 Armored Reconnaissance Vehicle, Armored Specialized Command Vehicle and APC variants are fitted with a SABER 25 turret, 8x8 Armored Specialized Command Vehicles will be fitted with 12.7mm Remote Weapon Station. The 7.62mm and 12.7mm Nimer Cupola, being manufactured locally by an Omani manufacturer in Oman, will be integrated on the remaining PARS-III 8x8 and 6x6 variants, excluding the 8x8 120mm Armored Mortar Vehicle to be fitted with a 120mm Ruag Defense’s smooth bore mortar system and 7.62mm pintle mount as a secondary weapon. In March 2017 Turkey’s largest private defense industry company Otokar won a deal worth US$661 Million to manufacture 400 ‘RABDAN’ 8x8 Amphibious Armored Combat Vehicles (based on ARMA 8x8 and fitted with BMP-3 ACV turret) for the United Arab Emirates (UAE) Land Forces. The ‘RABDAN’ contract represents the largest ever defense system export in a single project achieved to date by a Turkish defense company. Otokar established a Joint Venture company with Tawazun in the UAE called Al-Jasoor to build RABDAN 8x8 Amphibious Armored Combat Vehicles (AACVs) at the Tawazun Industrial Park manufacturing facilities in Abu Dhabi. Commenting about the contract Otokar General Manger Serdar Görgüç underlined that this program was one of the largest armored vehicle procurements in the world and the number of vehicles to be manufactured under the program shall reach to 700’s in the coming period. According first specifications released by the UAE Company Al Jasoor Heavy Vehicles Industries, the RABDAN has the capacity to carry a total 12 personnel including driver and commander. It has gross vehicle weight (GVW) from 28,000 kg to 30,000 kg. The RABDAN is powered with Caterpillar 12.5 liter diesel engine developing 600hp coupled to an Allison 4500 automatic transmission with 6 forward and 1 reverse gear. The RABDAN has a top speed of 105km/h and a cruising range of 700 km. The RABDAN offers ballistic protection up to STANAG Level 4 and mine protection up to STANAG Level 4a/b. The vehicle is fully amphibious and propelled in the water at a maximum speed of 10km/h thanks to two propellers mounted under the hull rear. The 8x8 vehicle is fitted with a two-man BMP-3 turret, which is armed one 100mm 2A70 semi-automatic rifled gun/missile launcher as main armament and one 30 mm 2A72 coaxial cannon and one 7.62 mm PKT coaxial machine gun as second armament. 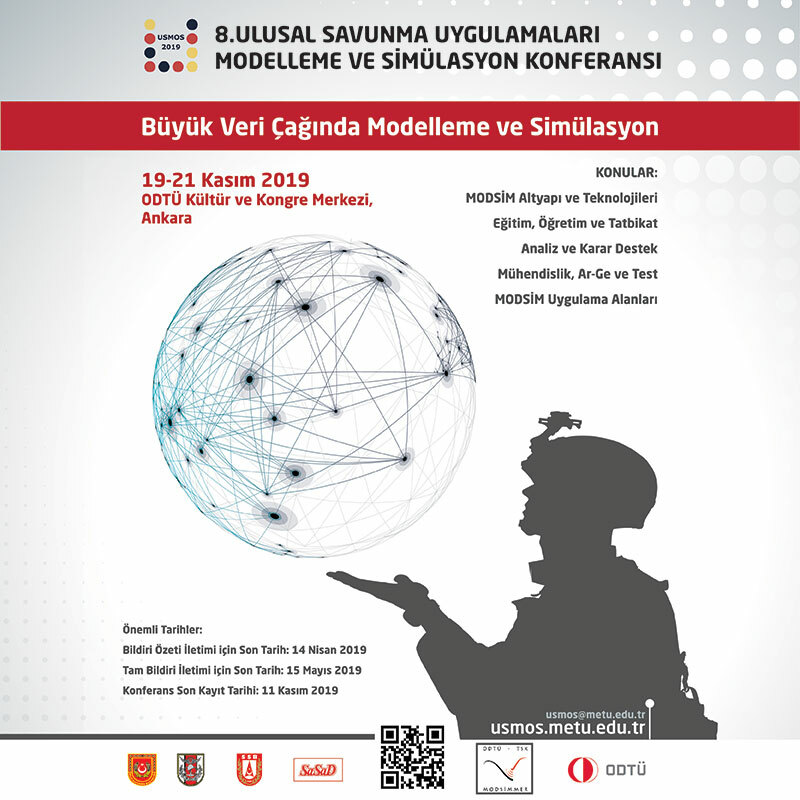 Nurol Makina ve Sanayi (NMS), Katmerciler and BMC, are leading suppliers for the Anti-Riot Vehicles (TOMA) to the Turkish Army, Turkish National Police (Security General Directorate/SGD) and Gendarmerie General Command (GGC). TOMA vehicles have proven their excellence since their first introduction to local and international markets in 2002. According to Turkish Minister of Interior Süleyman Soylu, as of May 2018 there are 765 TOMA vehicles in different configurations in the services of the SGD (over 500) and the GGC. Manufacturing TOMAs since 2010 Katmerciler claims that they have a 75% share in the Turkish TOMA market. Manufacturing TOMAs since 2002 NMS delivered over 200 TOMA vehicles to the SGD and GGC in Turkey and several police departments in export markets. NMS also exported 20 TOMA Riot Control Vehicles to Libya under a contract awarded by the Turkish Government to meet a Libyan Ministry of Interior requirement. Vehicles were delivered in three batches to Libya during 2013. In August 2015 NMS delivered an undisclosed number of EJDER TOMA to its first export customer, the Republic of Congo. NMS also exported four EJDER TOMAs to Senegal and participated in an Independence Day military parade together with 25 EJDER YALÇIN WAVs in April 2018. The EJDER TOMA effectively met the operational requirements of the Republic of Congo’s Law Enforcement Agency in protecting and preserving public order and was first used for ensuring security during the African Olympic Games. The EJDER TOMA, which was developed by NMS within the scope of an SSM project signed in 2012, stands out as Turkey’s first Riot Control Vehicle with high-level ballistic protection. NMS was awarded a contract worth US$6.125 Million in late 2012 by the SSM to deliver 25 EJDER TOMA Riot Control Vehicles featuring the main automotive components of the EJDER 4x4 WAV and provide high ballistic protection to the crew against even 7,62mm infantry rifle shots. NMS displayed the prototype EJDER TOMA during the IDEF ‘13 Fair and started deliveries to the SGD during the second half of 2013. During Kobani protests in Hakkari province of Turkey on October 10th, 2014 one of EJDER TOMA vehicles that was sent to control riot was attacked by PKK militants with infantry rifles and RPG-7 rockets. Militants fired two RPG-7 rockets and around 100 rounds of infantry rifle bullets against the EJDER TOMA, one of the rockets missed the vehicle but the other hit the windshield but did not explode. None of the crew was hurt during this attack thanks to EJDER TOMA’s high level of ballistic protection. NMS delivered around 150 EJDER TOMA vehicles to the SGD, and the Turkish Army. To meet the requirements of the SGD for the new generation armored vehicle requirement through the use of local capabilities the SSM launched New Generation Armored Vehicle Program. As part of this program in order to evaluate and test candidate vehicles in advance, in 2013 the SSM awarded contracts to Otokar and NMS to deliver 11 URAL and 11 EJDER YALÇIN Block I 4x4 wheeled armored vehicles (WAV) to the SGD. Some of the URAL and EJDER WAVs were integrated with Aselsan SARP RCWS. Otokar completed deliveries in late 2013; NMS delivered EJDER YALÇIN vehicles in 2014. On November 25, 2014 Otokar announced that they were awarded a contract worth TL76,8 Million to deliver an undisclosed number of both URAL 4x4 Light Armored Tactical Vehicles and Armored Patrol Vehicles (APV) to the SGD. Under the contract deliveries were completed in 2015. According to sources under the contract Otokar delivered 126 URALs. For SGD, SSM also procured 60+90 Sentry (based on Toyota Land Cruiser 70 series chassis) and Jaws 4x4 Light Armored Tactical Vehicles from International Armored Group (IAG) Turkey. Deliveries took place during 2014-2016. Otokar in May 2016 received a contract worth €64.8 Million for the delivery of an undisclosed number of APC, URAL and COBRA-I 4x4 armored vehicles to the SGD/Turkish National Police. In June 2016 the company secured a new contract valued at €106.1 Million for the delivery of 220 COBRA-II WAVs to the SGD. Some of the vehicles to be armed with Aselsan SARP RCWS. Deliveries were completed in 2017. With this order SGD became the fourth customer of the COBRA II (after TurAF, Turkish Army and Gendarmerie General Command) in Turkey. The first user of COBRA-II 4x4 WAV was the Turkish Air Force (they placed an order for 20 vehicles in 2015 and deliveries started in early 2016), followed by the Turkish Army. Under the contract worth €47.5 Million awarded in December 2015, MoND/SSM ordered 82 COBRA-II 4x4 Tactical Wheeled Armored Surveillance Vehicles (equipped with Aselsan’s ŞahinGözü/FalconEye EO sensor and ACAR surveillance radar systems and Metravib’s PILAR Gun Shot Detection System) for the Turkish Army. Deliveries to the 2nd and 3rd Armies’ Border Units (responsible for the Eastern borders of Turkey) started in 2016 and were completed during the first half of 2017. Project has been financed via the EU funds. Under a contract that became effective in April 2014, SSM ordered 180 EJDER YALÇIN Block III WAVs to NMS to meet SGD/Turkish National Police’s requirement. Deliveries completed during the first half of 2017 and all of the vehicles are integrated with Aselsan SARP RCWS armed with 7.62mm machine gun. For the delivery of SARP RCWSs NMS signed a contract valued at €29.1 Million with Aselsan in April 2016. NMS previously received contracts for the delivery of 71 EJDER YALÇIN Block I (including 11 vehicles procured for the evaluation) and Block II to the SGD. Both Otokar and NMS have granted one COBRA-I and one EJDER YALÇIN 4x4 Tactical Wheeled Armored Vehicle to GGC in 2016 and they underwent extensive operational tests. As a result of this experience GGC placed an order for an undisclosed number of COBRA-II and EJDER YALÇIN WAVs in 2017. The first batch of 30 EJDER YALÇIN Block III was delivered to GGC in May 2017. On May 17, 2018, speaking at the TOBB Turkish Defense Industry Assembly Meeting Undersecretary Prof. Demir announced that over 300 COBRA-II and over 300 EJDER YALÇIN WAVs have been delivered to Turkish end users. Developed over the existing COBRA-I vehicle, COBRA-II is a modular platform with superior technical and tactical characteristics. Besides outstanding mobility capability and up to nine crew (including driver and commander) carrying capacity, the vehicle provides protection, firepower and mission equipment for users in different types of missions. Produced against current threats to meet user expectations and was added to the Otokar product range in 2013, the COBRA-II Tactical Wheeled Armored Vehicle provides an outmatched performance in a wide range of challenging terrains and climatic conditions. In addition to superior technical and tactical features, COBRA-II also offers high degree of protection and forms a base for a modular platform. Unveiled first time in May 2013 COBRA-II has an overall length of 5,6m, a width of 2,5m and height of 2,2m. The wheelbase and ground clearance of the vehicle are 3,57m and 400mm respectively, while the gross vehicle weight is 12,000kg. The COBRA-II can negotiate a 48° approach and 60° departure angles leading onto 60% inclines and 30% side-slopes. It is able to cross 90cm wide trenches and climb over 40cm obstacles. The COBRA-II can be fitted with either 6,7 liters, 6 cylinders 281hp water-cooled turbo diesel engine or 6.7 liters, 6 cylinders 360hp water-cooled turbo diesel engine (Turkish users’ preference) with F-34 and F-54 fuel compatibility. The COBRA-II has a top speed of 110km/h and a cruising range of 700km. EJDER YALÇIN, a new member of the EJDER Family of wheeled armored vehicles, is a 4x4 tactical armored combat vehicle designed and manufactured by NMS. Design studies on the vehicle were initiated in the last quarter of 2012 and a pre-prototype of the base vehicle was exhibited at the IDEF ’13 Fair. Mass production of the vehicle began in May 2014. Featuring a V-shaped hull design, integrating floating floor plates and blast mitigation seats to provide protection against mines and improvised explosive devices (IED) the vehicle accommodates up to 11 personnel. The vehicle features easy-to-enter and exit door configurations for the crew. Other optional equipment includes a rescue winch, day and night-vision systems, rear ramp, and a fire extinguish and explosion suppression system for the crew compartment. The base vehicle has a length of 5,42m, width of 2,48m and height of 2,3m. Its gross weight ranges between 12,000kg and 14,000kg, and payload carrying capacity is up to 4t. The Block I and Block II versions of EJDER YALÇIN are fitted with a Cummins engine, which produces a maximum power of 300hp at 2,100rpm. The engine is coupled to fully automatic transmission with hydrodynamic torque converter. But in Block III engine power is uprated and increased to 375hp. The EJDER YALÇIN has a maximum speed of 110km/h and a cruising range of 600km. It can accelerate from 0km/h to 40km/h within six seconds. NMS on the other hand won its first export contract from Tunisia for its EJDER YALÇIN 4x4 WAV in early 2017. It is followed by orders from Uzbekistan, Qatar and Senegal. According to sources NMS will deliver 70+ EJDER YALÇIN to Tunisia, a large number of vehicles to Uzbekistan with local production, 342 vehicles to Qatar and 25 vehicles to Senegal. During DIMDEX 2018, which was held at the Qatar National Convention Center in Qatar’s capital Doha on March 12-14, 2018 NMS also secured a contract to deliver 214 NMS 4x4 Wheeled Light Armored Vehicles to the Qatar Emiri Special Forces, to be armed with SARP RCWS, ATGM launcher and IGLA SAM launcher of Aselsan. Deliveries of the NMS 4x4 WAVs have been initiated and scheduled to be completed in two years. In October 2017, Aselsan secured a contract worth €29.676 Million from Undersecretariat for Treasury to deliver 57 Tactical Wheeled Armored Surveillance Vehicles for the protection and surveillance of Western borders (Bulgaria and Greece). Project is financed via the EU funds. Under the project Aselsan selected Katmerciler’s HIZIR 4x4 WAV as a platform to integrate its ŞahinGözü (FalconEye) EO sensor, ACAR surveillance radar and Gun Shot Detection System. A contract valued at Euro10.485 Million was signed between Aselsan and Katmerciler for the procurement of 57 HIZIR 4x4 WAVs. After having been integrated with Aselsan’s border surveillance system the vehicle was dubbed as the ‘ATEŞ (Fire) Mobile Border Security System’. According to the MoND 2017 Activity Report ATEŞ Mobile Border Security System deliveries will start in December 2018. HIZIR 4x4 Tactical Wheeled Armored Vehicle is designed and optimized for high performance under extreme operational conditions in rural and urban areas for 9 personnel. The vehicle has high level of ballistic and mine protection. It is agile, dynamic, versatile, low maintenance and easy-care platform for various configurations such as combat vehicle, command control vehicle, CBRN vehicle, weapon carrier (easy integration of various weapon systems), ambulance vehicle, border security vehicle, reconnaissance vehicle. Katmerciler unveiled for the first time the ‘HIZIR’ its new armored combat vehicle on the ‘3rd High-Tech Port by MÜSİAD’ organized in Istanbul on November 9-12, 2016. With 400hp (298kW), the HIZIR is the combat vehicle, which has the highest engine power in its range in the Turkish Defense Industry. The vehicle has a gross weight of 16,000 kg and can reach a top speed of 110km/h. HIZIR 4×4 features a V-shaped monocoque armored hull design that offers advanced protection to the 9-man crew. HIZIR can be configured for a wide range of missions including command and control, medical evacuation platform, forward observation and convoy support. The HIZIR is fitted with an Aselsan SARP Stabilized Advanced Remote Weapon Platform. Depending on the requirements, the SARP can be equipped with a 12.7mm machine gun, 40mm automatic grenade-launcher or 7.62mm machine gun. On the other hand, under the New Generation Crime Scene Investigation Vehicles (KIRAÇ) Project, Katmerciler secured a contract from the SSM in June 2017. The contract calls for the design, development and delivery of 110 Crime Scene Investigation Vehicles and 10 Laboratory Vehicles in a two-year schedule. The vehicles will be in 4x4 configuration and will feature independent suspension system.